Stella is responsible for all human resources, health and safety and financial matters, assisting with project monitoring, quality controls and office management. 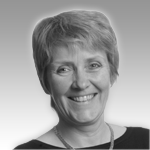 Stella is also the Company Secretary for ORS and a member of the senior management team. Stella was previously manager of a large student hall of residence within the University of Wales Swansea and was responsible for co-ordinating all student and conference services, as well as administering personnel. Since joining ORS in 2006, Jackie has been responsible for managing a team of researchers – primarily focusing on local government projects and work with the police. She has a particular interest and experience in employee surveys and also consultation with customers on service delivery. Her role also includes generation of new business particularly on Public Sector Frameworks. In 2008, Jackie’s role became more focused on tendering for new business across a wide range of sectors but particularly local and national government, police and private sector. She is also contract manager on all of the major public sector contracts, and takes responsibility for all the framework contracts to which ORS has been appointed. Before joining ORS, Jackie worked in the water industry for 21 years and has significant experience as a senior manager, both within a large corporate framework and through leadership of a small business. She has experience of many business areas including customer services, utility regulation, income management, environmental science, outsourcing and customer contract management, and asset management. 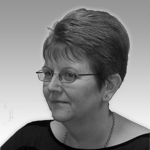 Over the years, Jackie has been involved in developing effective teams in many disciplines. Recognising the benefits of coaching, Jackie has also been involved in setting up an internal coaching culture within an entire organisation. Most recently Jackie was involved in improving business performance by establishing collaborative working practices both with partners and regulators. Alun is responsible for the general maintenance and project specific configuration of machines used by our field interviewers for CAPI projects, as well as resolving the day-to-day problems which can occur with the IT equipment in the office. 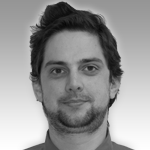 Alun is also involved with setting up scripts to work with the telephone and web based interviewing systems as well as uploading of sample and downloading of data from these systems. Providing administrative support to all staff, including travel arrangements, venue hire and secretarial support. In addition, Kathryn helps manage the procurement process and identify new opportunities. 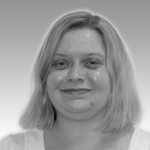 Kathryn also helps manage ORS’ Quality System and is a trained internal auditor. Prior to joining ORS, Kathryn spent five and a half years working for Ipsos MORI as a Senior Administrator. She provided support to the specialist qualitative team (the Qual HotHouse) and worked closely with the Head of Qualitative Research. She was involved in all of the administrative aspects of qualitative research projects, including deliberative workshops, hard to reach groups and stakeholder surveys, the role also included recruitment and liaising with the general public and various stakeholder groups. Kathryn regularly worked with a range of public sector clients, including the Office of the Deputy Prime Minister, Department of Work and Pensions, Electoral Commission, Department for Trade and Industry, the National Audit Office and the BBC.